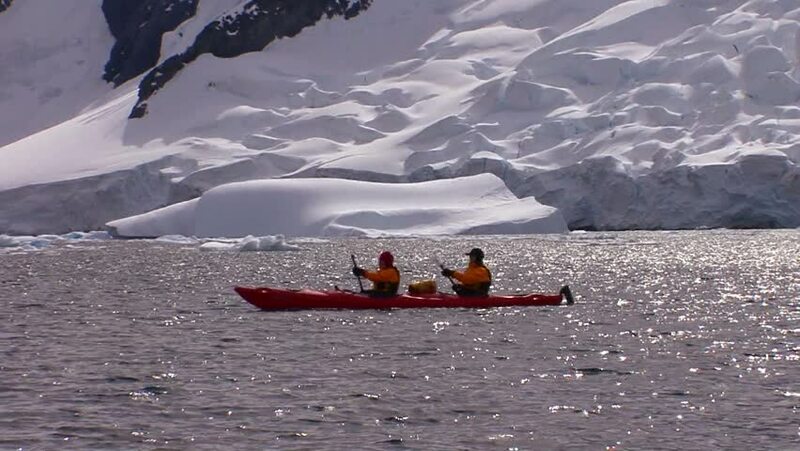 ANTARCTICA-CIRCA 2012-People paddle a kayak through the Arctic or Antarctica region near vast ice fields and glaciers. hd00:26Group of canoes paddling on a lake at sunset. Studen Kladenets dam, South Bulgaria.